Silymarin (from milk thistle) is well-tolerated and improves the condition of patients with alcoholic liver cirrhosis. Effects of silymarin MZ-80 on oxidative stress in patients with alcoholic cirrhosis. Results of a randomized, double-blind, placebo-controlled clinical study. BACKGROUND: The role of silymarin in the treatment of liver cirrhosis is controversial. AIM: Clinical outcome,biochemical profile and the antiperoxidative effects of silymarin MZ-80 during 6 months treatment were investigated in patients with alcoholic liver cirrhosis. METHODS: Sixty consecutive patients with alcoholic liver cirrhosis were randomized to receive either silymarin MZ-80 (S) (150 mg t.i.d. per day) or placebo (P) for periods of 6 months. Erythrocyte total glutathione (GSH) content, platelet malondialdehyde (MDA) and serum amino-terminal propeptide of procollagen Type III (PIIINP) were determined at baseline and at the end of treatment. RESULTS: Forty-nine patients completed the study (24 S and 25 P). The 2 groups were well-matched for demographic as well as baseline clinical and laboratory parameters. Silymarin increased total GSH at 6 months (4.5 +/- 3.4 to 5.8 +/- 4.0 micromol/g Hb) whereas, in the placebo group, GSH remained unchanged (4.1 +/- 3.9 to 4.4 +/- 4.1 micromol/gHb) (p < 0.001), and platelet-derived non-induced MDA decreased by 33% (p < 0.015). A parallel decrease in PIIINP values was seen with silymarin (1.82 1.03 to 1.36 +/- 0.5 U/ml, p < 0.033) but not with placebo (1.31 +/- 0.4 to 1.27 +/- 0.6 U/ml). There were no concurrent changes on laboratory indices of the pathology. 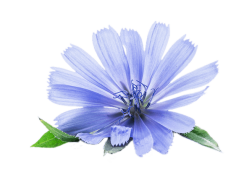 CONCLUSIONS: Silymarin is well-tolerated and produces a small increase in glutathione and a decrease in lipid peroxidation in peripheral blood cells in patients with alcoholic liver cirrhosis. Despite these effects no changes in routine liver tests were observed during the course of therapy. Radioprotection of plasmid and cellular DNA and Swiss mice by silibinin. Radiological Physics and Advisory Division, Bhabha Atomic Research Centre, Mumbai 400 085, India. The radioprotective effect of a non-toxic bioactive component in plant milk thistle, silibinin against genotoxicity induced by gamma-irradiation was investigated in vivo/in vitro. Under in vitro conditions of irradiation, silibinin protected plasmid pBR322 DNA against gamma-radiation-induced strand breaks in a concentration dependent manner (0-200microM). Under cellular conditions of radiation exposure (3Gy), silibinin offered protection to lymphocyte DNA as evidenced from reduction in DNA damage and micronuclei formation, which showed correlation to the extent of intracellular reactive oxygen species reduction. Our extended animal studies suggest that oral administration of silibinin (70mg/kg for 3 days) to mice prior to whole-body gamma-exposure (7.5Gy) resulted in significant protection to radiation-induced mortality and DNA damage in blood leukocytes. However, silibinin treatment after irradiation was not as effective as pre-administration. In conclusion, present study indicated that silibinin has a strong potential to prevent radiation-induced DNA damage under both in vitro and in vivo. Silybum marianum and Taraxacum officinale extracts had a protective effect against oxidative kidney injuries induced by carbon tetrachloride in rats. The protective effect of the extracts of the plants Silybum marianum and Taraxacum officinale by carbon tetrachloride (CCl4) was researched. Sixty-six female Wistar albino rats were divided into six groups: Control, Silybum marianum, Taraxacum officinale, CCl4, Silybum marianum+ CCl4, Taraxacum officinale+CCl4. The Silybum marianum and Taraxacum officinale extracts were administered as 100 mg/kg/day by gavage. The CCl4 was administered as 1.5 mL/kg (i.p.). At the end of the trial period, in the serums obtained from the animals, in the CCl4 group it was found that theMDA level increased in the kidney tissue samples as well as in the ALP and GGT enzyme activities. It was also found that the GSH level and the GST enzyme activities decreased (p<.05). The microscopic evaluations showed that the CCl4 caused a serious hydropic degeneration, coagulation necrosis, and mono-nuclear cell infiltration in the kidney cell. In the animals where CCl4 and Silybum marianum and Taraxacum officinale extracts were applied together, it was found that the serum ALP and GGT enzyme activities decreased and that the MDA level decreased in the kidney tissue, and that the GSH level and GST enzyme activities increased. It was observed that the histopathological changes caused by the CCl4 toxicity were corrected by applying the extracts. Eventually, it was determined that the Silybum marianum was more effective. Silybum marianum and Taraxacum officinale extracts which were used against histopathological changes in the kidney caused by toxication showed a corrective effect, which were supported by biochemical parameters. These results suggest that geraniol plays a significant role during liver regeneration. The Effect of Geraniol on Liver Regeneration After Hepatectomy in Rats. Geraniol is a monoterpenoid alcohol that has a hepatoprotective effect. We investigated the regenerative effects of geraniol in rats after a 70% partial hepatectomy (PH). Using Wistar albino rats, nine groups were created: Group I was the control group, while the remaining groups received a single intraperitoneal dose of saline, Silymarin, or geraniol after PH. A 70% PH was performed on all groups except for groups II and III. Blood serum samples were obtained for alanine amino transferase (ALT) analysis. Then liver tissues were harvested for histological and real-time polymerase chain reaction (PCR) analyses. Tumor necrosis factor-α (TNFα) and interleukin 6 (IL6) gene expression were examined 24 and 48 h after PH. ALT levels were found to be statistically significantly increased in all PH-treated groups. TNFα and IL6 gene expression levels were elevated in geraniol-treated groups. Histological evaluation revealed a hepatoprotective effect for geraniol-treated groups. Our results suggest that geraniol plays a significant role during liver regeneration, which involves the elevated expression of TNFα and IL6 48 h after PH. Medical mushrooms and phytochemicals represent useful approaches to target tissue invasion and metastasis as well as other hallmark areas of cancer. Cancer is a key health issue across the world, causing substantial patient morbidity and mortality. Patient prognosis is tightly linked with metastatic dissemination of the disease to distant sites, with metastatic diseases accounting for a vast percentage of cancer patient mortality. While advances in this area have been made, the process of cancer metastasis and the factors governing cancer spread and establishment at secondary locations is still poorly understood. The current article summarizes recent progress in this area of research, both in the understanding of the underlying biological processes and in the therapeutic strategies for the management of metastasis. This review lists the disruption of E-cadherin and tight junctions, key signaling pathways, including urokinase type plasminogen activator (uPA), phosphatidylinositol 3-kinase/v-akt murine thymoma viral oncogene (PI3K/AKT), focal adhesion kinase (FAK),β-catenin/zinc finger E-box binding homeobox 1 (ZEB-1) and transforming growth factor beta (TGF-β), together with inactivation of activator protein-1 (AP-1) and suppression of matrix metalloproteinase-9 (MMP-9) activity as key targets and the use of phytochemicals, or natural products, such as those from Agaricus blazei, Albatrellus confluens, Cordyceps militaris, Ganoderma lucidum, Poria cocos and Silybum marianum, together with diet derived fatty acids gamma linolenic acid (GLA) and eicosapentanoic acid (EPA) and inhibitory compounds as useful approaches to target tissue invasion and metastasis as well as other hallmark areas of cancer. Together, these strategies could represent new, inexpensive, low toxicity strategies to aid in the management of cancer metastasis as well as having holistic effects against other cancer hallmarks. There are 874 on Milk Thistle . 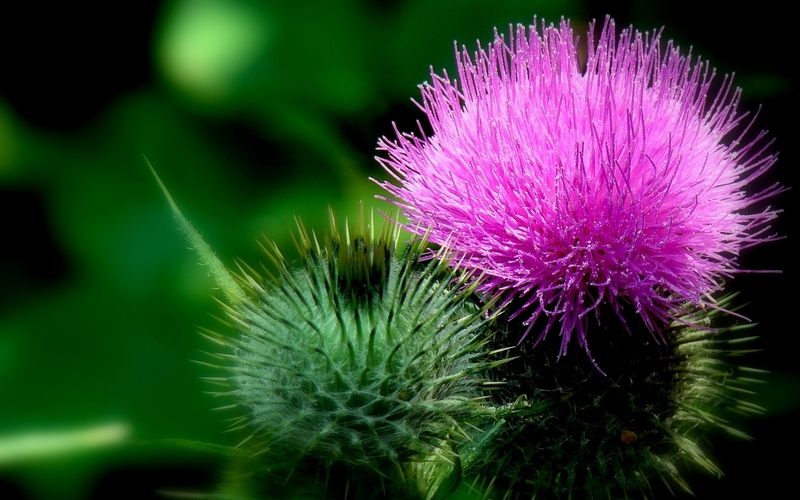 65 Diseases Researched for Milk Thistle/Silybum M.
43 Pharmacological Actions Researched for Milk Thistle/Silybum M.
Chemotaxonomic and biosynthetic relationships between flavonolignans produced by Silybum marianum populations. 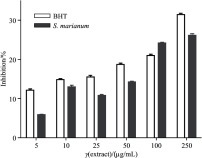 Assessment of the Antioxidant Activity of Silybum marianum Seed Extract and Its Protective Effect against DNA Oxidation, Protein Damage and Lipid Peroxidation.